This extension, along with the Superyard Colorplay creates a play yard nearly 7 feet across! 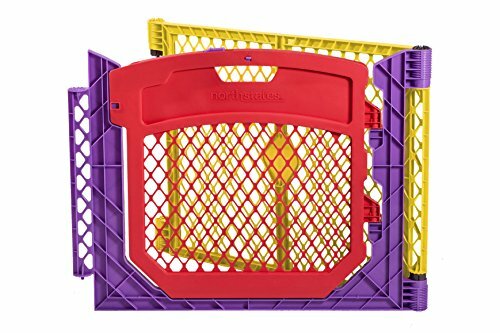 The extension comes with a yellow panel and an easy access red door with a purple U-frame panel. The access door is easy to operate and includes a double lock for added security. The extension panels fit together with the Superyard panels like a puzzle. And the pin/plunger design promises a secure fit.